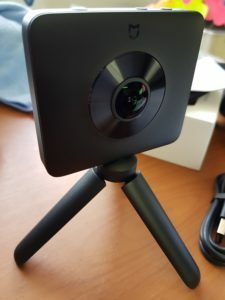 This 360 camera has been around for a while, and it really wasn’t on my radar until the friendly people at Gearbest sent me one to test. The bonus was that they are offering is the LOWEST price that I’ve ever seen for this camera. 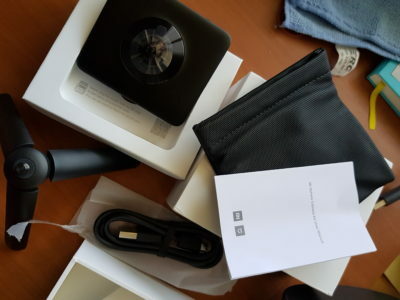 Read on, and at the end, I’ll tell you how to get the Xiaomi Mi Sphere 360 for less than $200! Let’s start with the cold, hard facts. – Video resolution: up to 3456 x 1728 @ 30fps, or 2304 x 1152 @ 60fps. – Shutter speed: up to 32 seconds. But the specs don’t tell the whole story. The box is a very stylish, although it was so tight that I had to shake the top off. Then the fun began. 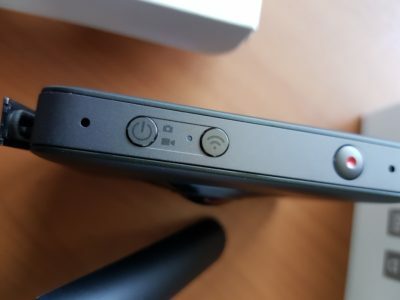 The camera has a brushed black metal finish. It will get hot to the touch, but I have not seen any overheating shutdown problems in my testing. Setting up the camera to work with your smartphone is easy and straightforward. This is by far the quickest setup that I have ever done with any 360 camera. Charge up the camera with the supplied USB cable. It charges pretty quickly. While it’s charging download the app. I am using the Samsung S8, so I went to the Google Play store. The only thing that would be nice is if it were in English in addition to Chinese. The download was quick and simple. Here is the link for the right app on the Google Play Store. For you, iOS users here is the link to iTunes store app. The definitive go to the page for all the links you will ever need is here. 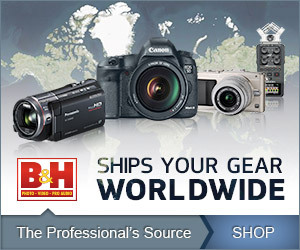 For the next step, turn on your camera with the multi-purpose power/mode switch. After turning it on the button works as a toggle between still image and video. Next, turn on the WiFi button next to it. Open the app and click the yellow camera button in the center at the bottom. This will take you to a Select Device page, which when you click on your camera will then bring you to the WIFi settings page of your phone. Click on the camera connection listed and use the default password of 12345678. Select CONNECT and bam, you’re there. The only thing left to do is click the ‘back” button and return to the app. You will come up in video mode, and you’re ready to record. It’s easy to switch to photo mode in the app by clicking the camera icon. That’s it! So simple and quick. Let’s have a look at some samples. 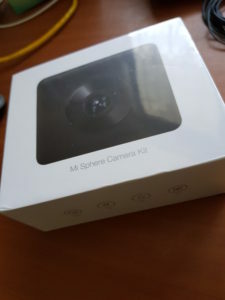 Even though the Xiaomi Mi Sphere 360 is 3.5K instead of 4K, it actually holds its own against the other 360 4K cameras on the market. It definitely has the best image quality for its price range and makes a great consumer 360 camera. Lot’s of fun and very easy to use. There are some caveats though, the better your phone, the better the download quality. With my Samsung Galaxy S8, I can get 3456×1728 @30fps. With other phones, you may wind up limited to 2304×1152 @30fps. It all depends upon the processor in your smartphone. You also have the option to shoot 60fps @2304×1152. This is good for fast moving subjects or action shots. 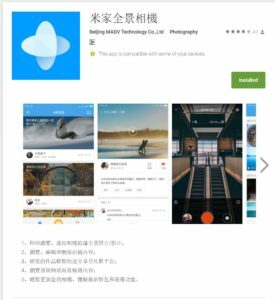 The Xiaomi Mi Sphere 360 now has 360 metadata for photos, GPS tagging option, and an intervalometer. This means you can use it for Google Street View. It is recommended that you use a high quality fast micro SD card. I would suggest these cards. 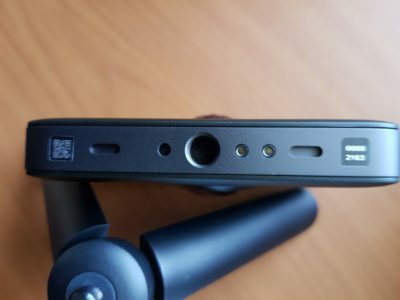 If you don’t like the short monopod that comes with the Xiaomi MiJia Shere 360, then you might want to order this one. 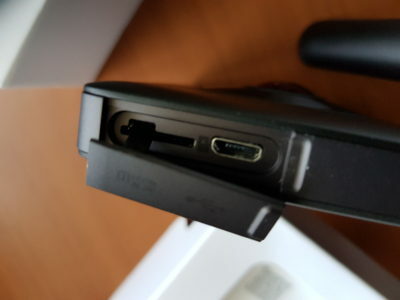 It is specifically designed for it and connect to the camera via the two connectors at the bottom of the camera. With it, you can control mode selection and record. Here is the link. I have to say that the stabilization is excellent with this camera. The 6-axis does a fantastic job. My buddy, Michael Ty did an excellent comparison video pitting the Xiaomi Mi Sphere 360 up against the much more expensive Garmin VIRB, and the Xiaomi Mi Sphere 360 held its own. Have a look at the video here. I prefer shooting using the smartphone app for several reasons. The biggest factor is being able to preview what you are shooting. Since the camera does not stitch anything, your smartphone does all that work. When you take 360 photos, the app stitches them together right away, and the completed 360 image is viewable in your Gallery. The videos work a little differently. You will be able to view them almost immediately, but you will need to select download and then export to phone to get them into your Gallery for keeps. The PC software is very basic at this point and actually stitches the images at a much lower bit-rate than your smartphone. Also, stabilization is not as good. I would suggest using your smartphone and transferring the results if you need the files on your PC. With good lighting, the Xiaomi Mi Sphere 360 gives excellent results. That said, like all small sensor cameras it does suffer in low light. 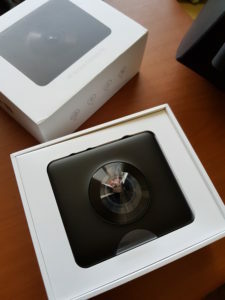 But compared to other 360 cameras like the Samsung Gear original or 2017 model, the Ricoh Theta S, the Insta360 Air or Nano or ONE, the Xiaomi Mi Sphere 360 more than holds its own and for the bang for the buck beats them all. So now here is the best news. You can get the Xiaomi Mi Sphere 360 for ONLY $199.99 with coupon code “GBXMXJ2”.